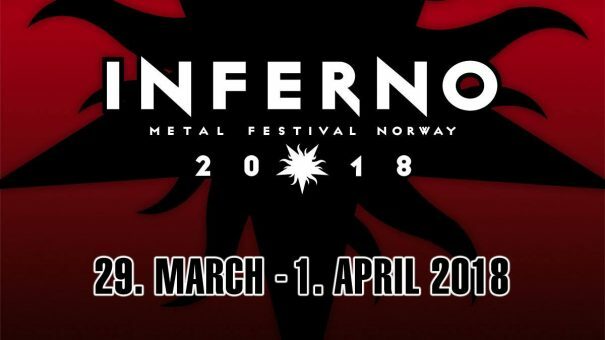 Inferno Metal Festival 2018 will take place at Rockefeller Music Hall in Oslo, Norway on 29 March 2018 – 01 April 2018. Emperor, Obituary and Napalm Death are among the bands that will perform at Inferno Metal Festival 2018. 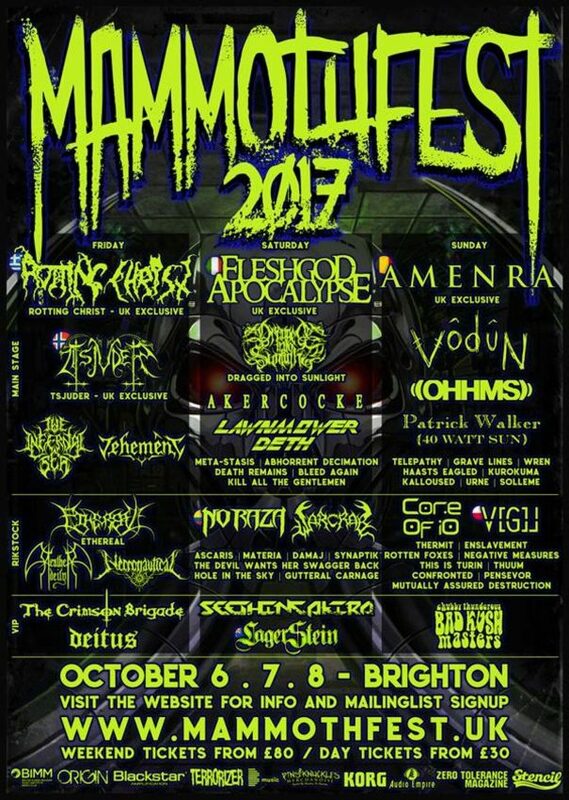 Mammothfest 2017 will take place in Brighton, UK on October 06-08, 2017. Rotting Christ, Fleshgod Apocalypse and Tsjuder are among the bands that will perform at Mammothfest 2017 festival. Heavy Scotland 2017 will take place at The Corn Exchange in Edinburg, UK April 01-02, 2017. Arch Enemy, Behemoth and Destruction are among the bands that will perform at Heavy Scotland 2017 festival. Nummirock 2016 will take place in Nummijärvi, Kauhajoki, Finland on June 22-25, 2016. Children of Bodom, Trivium and Amorphis are among the bands that will perform at Nummirock 2016 festival. Resurrection Fest 2016 will take place in Viveiro, Spain on July 07-09, 2016. Rockharz Open Air 2016 will take place at Flughafen Ballenstedt in Ballenstedt, Germany on July 07-09, 2016. Hammerfest Festival VIII will take place in Hafan Y Môr Holiday Park, Pwllheli, Gwynedd, North Wales, UK on March 10-13, 2016. Cradle of Filth, Turisas and Exodus are among the bands that will perform at the Hammerfest 2016 festival. Made of Metal 2015 will take place in Hodonín, Czech Republic on August 18-20, 2015. Epica, Amorphis and Belphegor are among the bands that will perform at the Made of Metal 2015 festival. Tons Of Rock 2015 will take place in Halden, Norway on June 18-20, 2015. Opeth, Kreator and Testament are among the bands that will perform at the Tons Of Rock 2015 festival. SWR Barroselas Metalfest 2015 will take place in Barroselas, Portugal on April 30 – May 02, 2015. Shining, Impaled Nazarene and Entombed A.D. are among the bands that will perform at the SWR Barroselas Metalfest 2015.